Ruth Persland, Who Came Second In The Ross Macpherson Memorial Photojournalism Award, Shares Her Childhood Memories Of New Zealand's Only Brantly B2 Helicopter. Dolphin Flying? Contour Flying? Thermals? Callum Macpherson Flies With The Wellington Gliding Club. Peter Clark Looks Back At The Career Of Recently Retired 747 Captain Neville Hay. 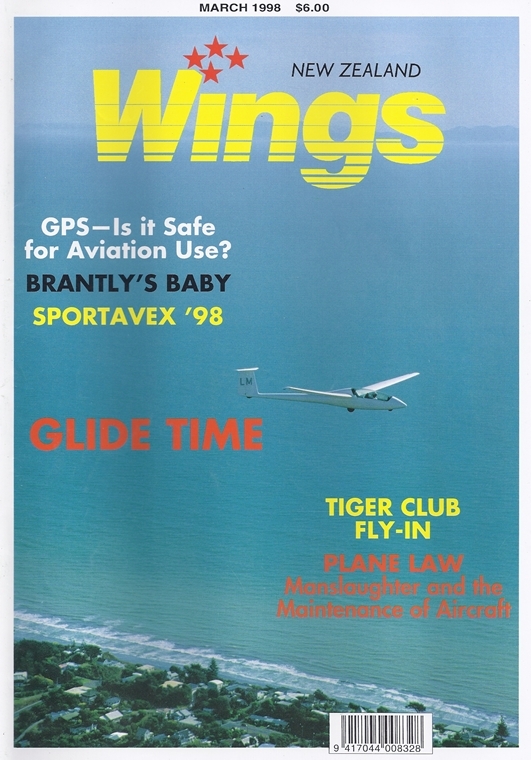 Gps- Is It Safe For Aviation Use? Gps Guru Ron Doggett Discusses The Current Limitations Of What Is Poised To Be The Most Influential Navigation Aid Of The Century.